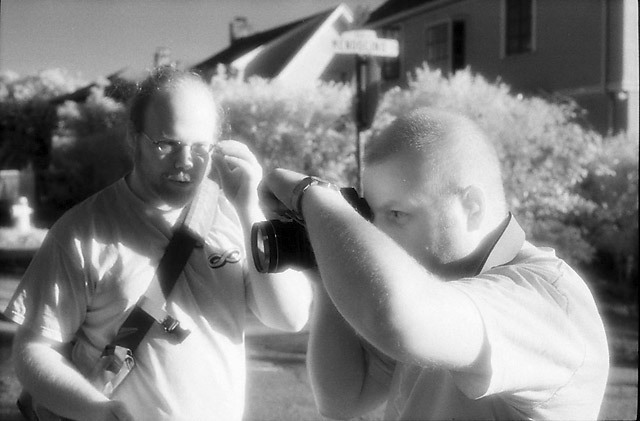 C and Z: These two photog companions were checking out the coolness of a Canon 24mm TS lens while I caught them in IR. Snapped on: May 28, 2005. Nikon N80, Nikkor 50/1.8 ISO400, Kodak HIE (High-Speed Infrared) film, developed with TMax Dev 6¼min. @ 20°C.